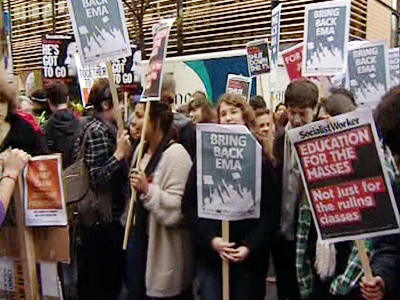 Police and bailiffs have evicted dozens of Occupy London protesters from a bank-owned building. Following the eviction a bailiff drove a car into a crowd of protesters. 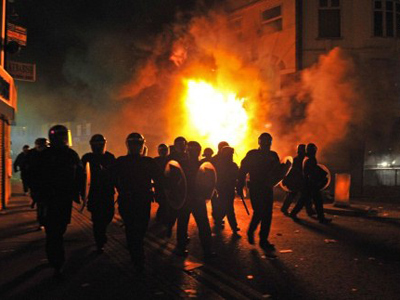 The move outraged activists, who claim the police did nothing to protect them. ­It is reported that a man carried one of the protesters on the bonnet of his car for some 150 meters in front of police officers who did nothing to intervene. Witnesses also say that before running into the crowd of protesters the man punched a photographer in the face. Occupy London movement has publicly addressed Scotland Yard asking why police protected an apparent violent aggressor and also why police think it is more important to protect the building than to protect people. The police have yet to reply. 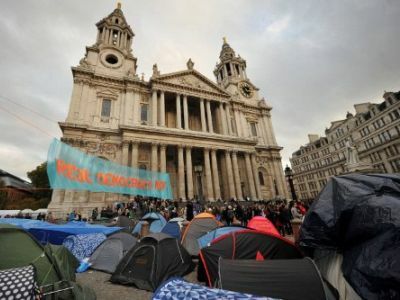 The Occupy London group took over the abandoned building last November. They renamed it “the bank of ideas” and described the act as a "public repossession.” Last week the building became property of Swiss investment bank UBS. 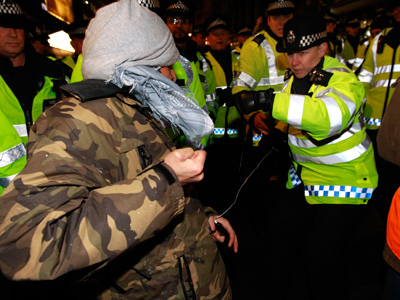 UK cop doublespeak: Peaceful protest is terror?